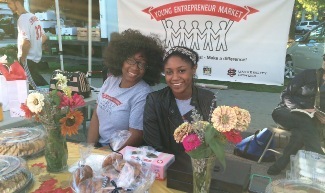 The Young Entrepreneur Market (YEM) offers K-12 students in Northeast Ohio real-world experience selling their products, in person, to the public. Clicking below will add 92 entries from this sign up page into your personal calendar program. Your calendar will be kept in sync as more people sign up. If you want to sync the items you signed up for, login to your SignUpGenius account and go to the "Invited To" page. One of two farmers markets in the nation located in a national park, this market has a great following and is ideal for both returning and first-time student entrepreneurs. Fun for all ages, this community event brings together merchants and live entertainment. Hershey Market - Focusing on making cutting boards, wooden tongs, wooden spoons, maple syrup, beeswax candles, and goats milk soap. Indoor market in Akron's new Northside District features artisans, farmers, and entertainment. Ideal for new and returning student businesses.